TASHKENT -- World Bank help is going to transform water quality and supply in Syrdarya Province. In Uzbekistan, less than half the population has access to good quality drinking water, and fewer than 1 in 5 urban households receive water 24 hours per day. The Syrdarya Water Supply Project will support Uzbekistan's efforts to improve the availability, quality and sustainability of public water supply services in selected districts of Syrdarya Province. Uzbekistan has made substantial investment in upgrading its water supply and sanitation services in recent years. From 1995 to 2014, total public borrowing for improvements to these services amounted to $344.1 million (2.8 trillion UZS), the largest of any country in Central Asia. 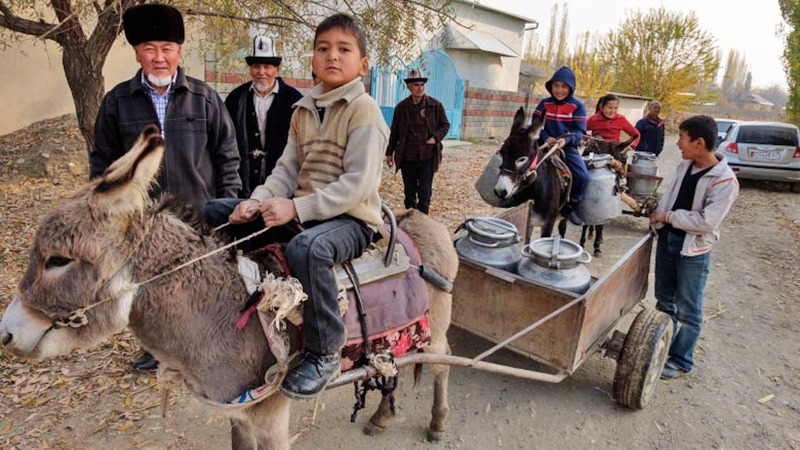 Even now, Uzbekistani citizens face challenges in obtaining clean, reliable water. More than half the national population of roughly 32 million remain unconnected to a piped water system, and only 17% of urban households receive water 24 hours per day. The situation is even worse in smaller cities and rural areas. "Water is a divine blessing," says a billboard installed near the Syrdarya Region State Water Management Enterprise (Suvokova) in Gulistan city, an administrative centre of the province. But for thousands of local households in Syrdarya Province, accessing clean drinking water, especially through the harsh summer and deep winter, remains a major challenge. Such households, typically low-income ones, bear additional costs in time and money spent collecting water. In some rural areas, residents spend up to six hours each day walking as much as 2km to a public tap outlet, waiting in line and then walking back with full containers. Other households rely on small storage tanks. One such household is the family of Mutabar Rakhimova, a 45-year-old housewife from Uchtom village. "Because our village doesn't have tap water, my family of five, including two adults and three kids, has to use a 700-liter water storage tank, which a tanker truck refills every month," she said. "This water is only for drinking. For bathing, washing and other household activities, we use unpurified water collected from a local irrigation canal." Rakhimova's family pays 12,000 UZS (about $1.50) for each refill. The amount represents a significant impact for the average low-income family in areas like Uchtom. Towns and villages across Syrdarya Province are currently supplied water through regional transmission schemes, or from about 250 individual wells which have reached a state of acute disrepair, resulting in a breakdown of piped water supply in many communities. It is estimated that 25% of the settlements receive no piped water and have to rely on water tankers. Out of those settlements that have access to piped water, only about 10% receive 24-hour service; for all others, the service is unsafe and costly, with consumers having to invest time and money in alternative supplies, including drawing raw water from irrigation canals. This situation affects women and children the most –- those who typically collect the water. The Syrdarya Water Supply Project, supported by the World Bank, aims to improve the situation in the region and provide access to safe drinking water for its approximately 280,000 residents. The Project will improve the availability, quality and sustainability of public water supply services in the least served communities in Sardoba, Bayaut, Mirzaobad, Akaltyn and Khavast. Upon completion, the Project will have significantly improved water supply service delivery, strengthened the capacity of water supply institutions and enhanced the financial sustainability of water supply operations. By 2019 it is expected that the expanded water supply infrastructure will provide about 47,000 households in 93 settlements across the five districts with access to water directly through individual metered connections. Water loss during delivery to users will be reduced from 40.2% to 14%, while daily consumption will increase from 15.2 liters to 95 liters per person in rural areas and to 125 liters per person in urban areas. The Project envisages developing new groundwater sources, with installation of more than 1,500km of pipes, 40 water distribution centres, 32 water towers, and 2 modular facilities for chlorination disinfection of water across Syrdarya Province. Rakhimova's village will benefit. Construction in progress there will connect the settlement to a modernised pipeline network that will ensure a 24/7 supply of clean drinking water for locals. Mutabar is looking forward to the day when her family, and almost 200 other families in Uchtom, will enjoy drinking water that comes from their own taps. This will be one of the best days in her life, she says. Tajikistan, a mountainous, landlocked country in Central Asia, is blessed by nature and awe-inspiring views. But since it gained independence in 1991, it has yet to enjoy sustainable growth. More than 400,000 inhabitants will gain access to cleaner drinking water and about 100,000 inhabitants will benefit from investments in sanitation facilities under the project. 'Indeed, if clean water comes to our village, it will be like a fairy tale turning into reality,' a Chook village resident said.